You may have heard about the biggest trend IRL (in real life) gaming that is sweeping through the nation via riddles and clues. 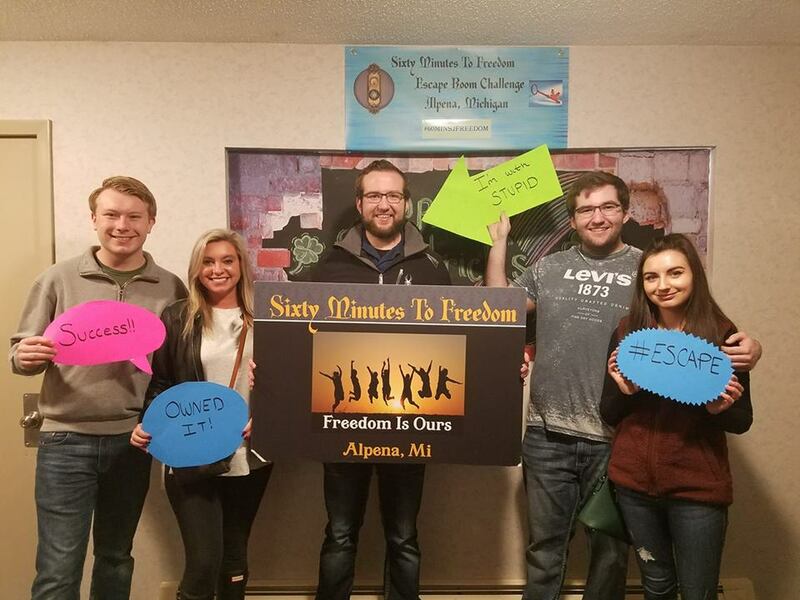 Alpena Escape Rooms offers up a thrilling adventure that relies on you and your teammate’s wit and determination to make it out! Bay Motel, solve the clues to figure out if a local business owner is actually a serial killer! What exactly is inside of an Escape room is for you to find to out. Imagine, you are locked inside of a themed room. You now have 60 minutes to figure out how to get out of this room. You scatter, examining every inch of space. A mystery scroll? A blinking light? A footprint on the floor? The slightest clue could mean the difference between solving the puzzle or failing. 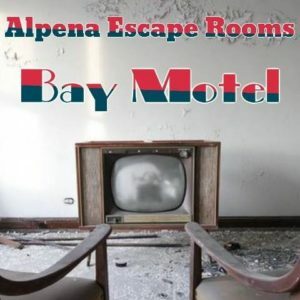 Alpena Escape Rooms is located inside of the Alpena Days Inn on M-32, where two escape rooms await you! Can you help out Aunt Peg in 60 minutes or less? Bay Motel – You have been called in to investigate a local business owner. Rumour has it he is a former serial killer. The police currently have him in questioning. Your mission is to enter the Motel and search for anything that will reveal his true identity before he is released. 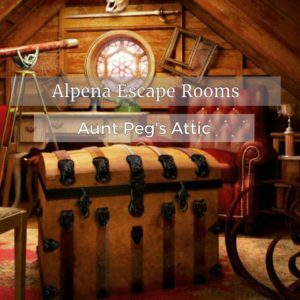 Aunt Peg’s Attic – Your goal is to find Aunt Peg’s last will and testament before her unstable sister finds it first. Aunt Peg remembers that it is in her attic but she doesn’t remember where.